Baseline Bicycles Blog: Our website is live! 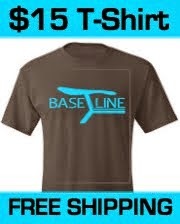 We are thrilled to announce the launch of baselinebicycles.com. It's taken awhile but we are incredibly proud and excited that our site is now up and running. With the internet as our only avenue for sales this is huge for us. The website is built on the popular Wordpress publishing system. This platform enables us to keep the site up to date, keep you posted on developments as they occur, and to get announcements out quickly. Feel free to browse the site. We would love to hear your feedback. This article defines what a fixed gear bike is, what the ride is like, and why you will want to own one. This article familiarizes you with the bicycle specs. Explains why we chose the material and components we did, and how we are meeting our twofold goal of providing the best bike for the best price. This article explains the roots of the company name, the company philosophy and the company commitment to quality and service. We hope you enjoy the site. Remember to bookmark the page, and connect with us on Facebook, Twitter, Instagram, and Pinterest.